I am going to keep this post short and sweet... It's been a crazy week at work trying to get things done ahead of time since I am off on vacation starting tomorrow! 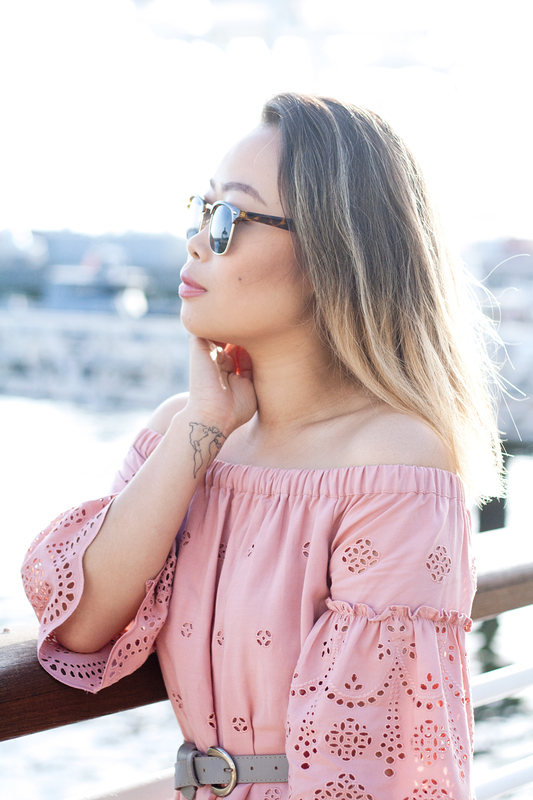 As for today's #ootd, I adore this little off-the-shoulder number, perfect for a warm day around the bay. 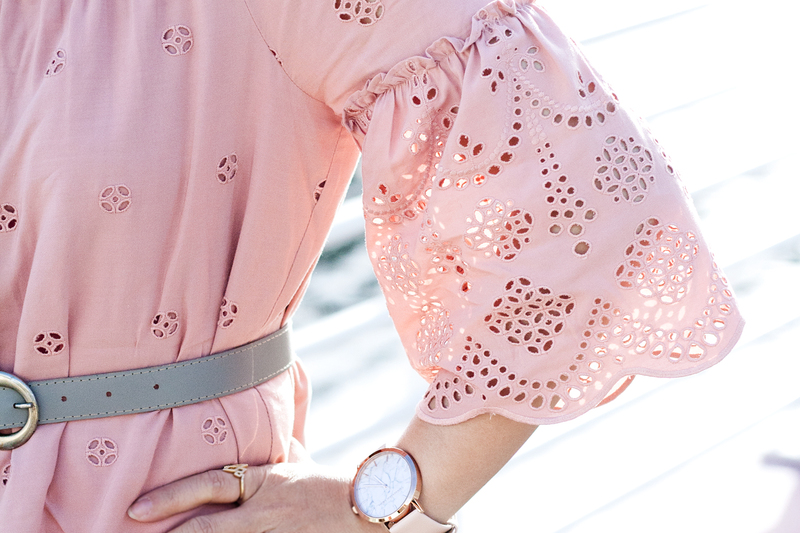 This dress by Madewell has the most darling eyelet details and the cutest bell sleeves. I paired it with these light sage colored suede strappy flats (also by Madewell) and a small leather wristlet bag by Hobo. Next time you see me, I will be in St. Louis and Chicago! 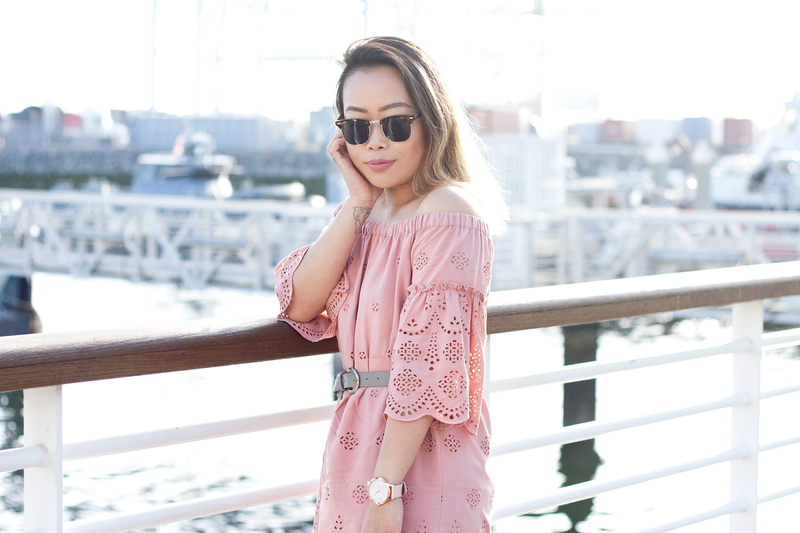 Eyelet off-the-shoulder dress c/o Madewell. Suede strappy flats c/o Madewell. Leather wristlet bag c/o Hobo.